This song is written by Marcel K. Aka El Pipo singer songwriter at Groupe Biso. Inspired from my own childhood life. My parents' orientation to be educated is the main source of my inspiration. When we were going to Doctor's appointment in one of the biggest University teaching hospital in DR Congo "University of Kinshasa" with my Dad, I was bothering him with some weird questions regards to the hospital life, sick people, Doctors, Nurses and Intern students. So, after done with medical appointment, as a head of admission' office, he was introducing me to his colleagues. Then, on our way back home he was telling me, that in order to be successful and helpful to the community, "Marcel do not neglect or mess around with school". I did finalized my inspiration when invited to the "Renmen Duval Foundation" fundraising and first time to perform solo vocal of the songs to dedicate it to the kids of Duval struggling to have access to education. Then the all idea goes to the kids around the world who are struggling to get access to education and wish one day that we would be able to offer an equal access for most. "The Capacity to learn is a gift, the ability to learn is skill, and the willingness to learn is a choice". Nelson Mandela Said : "Education is a great weapon that can help us to change the world"
he always told me my child do not neglect school. and helpful to the community. I want to study, help me to study, I want to learn how to read I want to learn how to write. my friend "Benny" nicknamed me Chancellor. I am thinking of all those children who want to study but do not have the means. As of now I am thinking about all those orphans who want to study but do not have parents. not be messing around your Education. So I can build up houses for my community. Do not neglect/Do not mess around your Education. 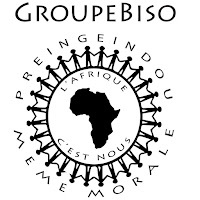 Groupe Biso "Preingeindou Meme Morale"
universaltempo94. Travel theme. Powered by Blogger.